Many conversations have been initiated in the past few years of seeing the number codes of 11:11 on clocks, significant dates or repeated visuals that makes us stop and wonder what kind of message the Universe is trying to give you or is it just coincidence. After you have 25 or so significant showings of this number come to your attention, you must make the observation, there is NO such thing as a coincidence. And that is exactly why it becomes so consistently “in your face,” to get your attention and make you ask, think and wonder why? The specific message depends on where you are at the present moment. It depends on what’s happening in your life and how far you’ve progressed on your awakening path. Humanity and the earth are in the middle of an ascension process. More light and higher vibrations are available now more than ever before. Human DNA, our genetic memory, is encoded to be triggered by digital codes at specific times and frequencies. Those codes awaken the mind to the change and evolution of consciousness, 1111 is one of those DNA activation codes. 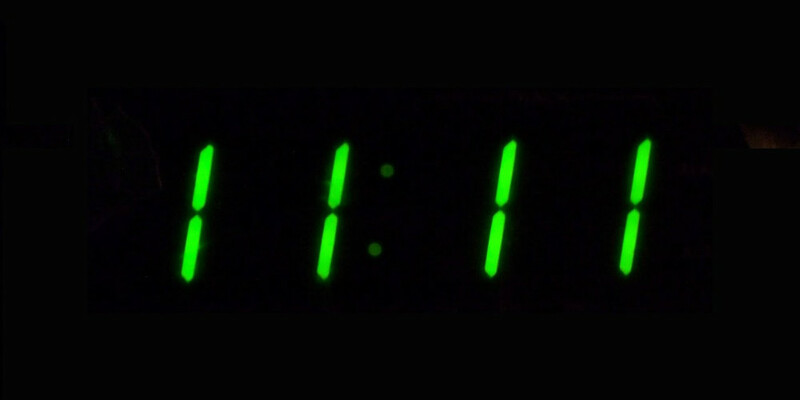 When you begin to frequently see 11:11 or just 11’s, you will also notice a string of synchronicities that start happening in your life. In Numerology, 11 represents impractical idealism, being a visionary, refinement of ideals, intuition and revelation. It carries psychic vibrations and has an equal balance of masculine and feminine properties. Numerology has its basis in the ancient world of science and mythology, and tells us that each number carries its own vibration and symbolic significance. It marks the stages of our soul’s evolution as we move from one frequency to the next. 11:11 is the Universe’s way of urging us to pay attention to our heart, our soul and our inner intuition. Each time this number begins to appear to you on a consistent basis, you are about to go through another major spiritual awakening, an epiphany of some kind and signals an upcoming change. The numbers say, “Pay attention!” It is a trigger of remembrance. What is happening to you is a reactivation of your cellular memory banks. You begin to feel a deep feeling as though you have forgotten something like your keys, your wallet or important dates. There’s a stirring deep inside, a hint of remembrance of something long forgotten. 1111 is a pre-encoded trigger placed into our cellular memory banks prior to our descent into matter which, when activated, signifies that our time of completion is near. This refers to the completion of duality. When the 1111 appears to you, it is your wake-up call. A direct channel opens up between you and the Invisible. The appearance of 1111 is always a beneficial act of Divine Intervention telling you that it is time to take a good look around you and see what is really happening in your life. It is up to you to use your intuition to see which is the best fit for you. If someone has an explanation that doesn’t feel right, then this is not the answer for you but may be just a clue to keep you moving on the path. By paying attention to the numbers around you, you can use them as tools to improve your connection to the Universe and awareness of your choices in life. 11:11 has had many interpretations on what the exact message is really being given to us by either our angels, guides or the Universe in general. But one consistent train of thought is an awakening process has begun with humanity. Can’t be stopped, no matter how much we go kicking and screaming saying you are not ready! It was designed into our spiritual DNA to ascend to a higher awareness of who we really are. Yes, I am going to use that old worn out statement again: “We are spiritual beings all connected as one having a human experience not just a human being having a spiritual moment.” That is what the message is waking us up to, regardless if we as a humanity are ready for it or not.